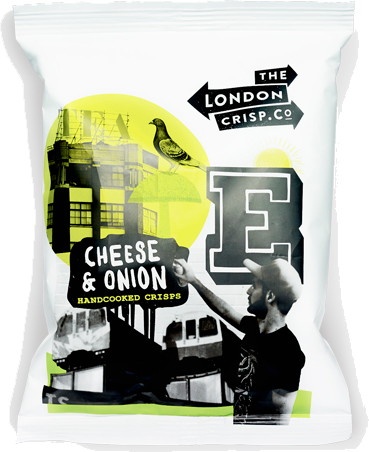 There was a somewhat contradictory Crunch to these Crisps. They were initially firm and rigid, but rather than soften as the munch went on, they seemed to mush up as if on the turn to stale. These were particularly light in colour. They were also full of oil blisters, some huge. 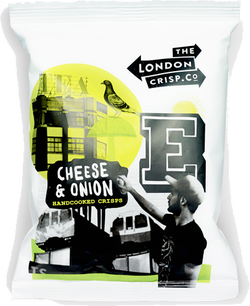 There was a reddish edge to many Crisps, which may have been the skin of a King Edwards spud, or something similar like Vivaldi. There was not much in the way of seasoning visible. A Nose Plunge Test revealed an unspecified aroma that had a heavy hint of empty bag. Of more importance was the flavour, which was certainly cheesy and rather warm in flavour. The Onion was more of an aftertaste than a main constituent. However, although unequally balanced the Onion was still evident.